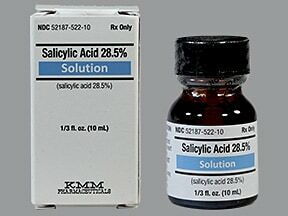 What conditions does Salicylic Acid Film-Forming Liquid With Applicator treat? Tell your doctor right away if any of these unlikely but serious side effects occur: spreading skin redness around the treated area, signs of infection (e.g., pus, milky/bloody discharge), formation of a deep sore (ulcer) at the treatment site. 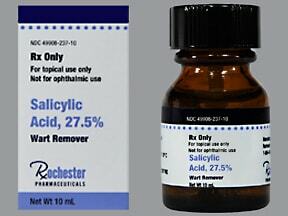 List Salicylic Acid Film-Forming Liquid With Applicator side effects by likelihood and severity. 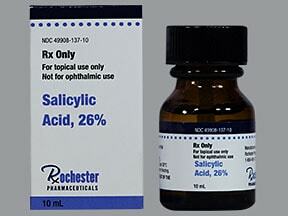 This medication should not be used if you have certain medical conditions. Before using this medicine, consult your doctor or pharmacist if you have: diabetes, poor blood circulation (e.g., peripheral vascular disease), skin infection/irritation. 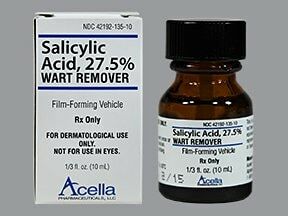 What should I know regarding pregnancy, nursing and administering Salicylic Acid Film-Forming Liquid With Applicator to children or the elderly?